The latest from Maggie Rogers and Marian McLaughlin. 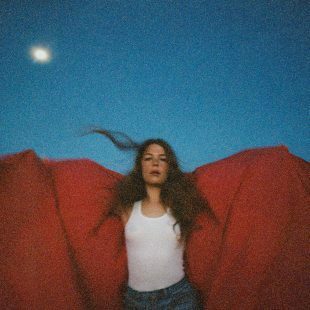 What a wild few years it’s been for Maggie Rogers. By now you’ve likely heard the story: the young Eastern Shore musician sings a song for Pharrell Williams during her college music class, the video goes viral, and in two short years, the singer-songwriter has turns turned into a bona fide folk-pop star, nabbing a Capitol Records deal, performing on Saturday Night Live, and selling out every stop on her U.S. tour. But what’s lost in that narrative is Rogers’ own true talent, and mighty potential, as showcased on this first full-length album. With big anthems, barebones ballads, and buoyant dance numbers—including that fateful “Alaska”—these 12 songs are a testament and a time capsule, capturing the elusive, ephemeral, earthshaking transformation that took place as her dreams became reality. On each track, she embraces the change, rediscovers herself, and emerges newly potent and powerful, ready for the road ahead. We see no horizon in sight. If you’ve found yourself overwhelmed by the world recently (haven’t we all? 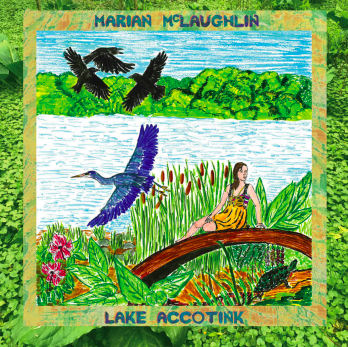 ), this Marian McLaughlin record is for you. The local singer-songwriter has crafted a tome of chamber-folk songs to honor the natural cycles of the environment, and each experimental arrangement is a petition to unplug, to be present, and to observe the world around you. Unfurling in a stream of consciousness, McLaughlin’s lilting, labyrinthine verses speak to the relationship between humanity and nature and serve as a way for the artist—and listener—to process our impact on the planet. But through ballads, dirges, and outright epic poetry, her poetic meditations maintain a sense of hope for the future, found in the balance of regeneration and the belief in nature’s omniscience. Give it a listen, then get off your phone, and get outside.